Choosing the right technology solutions, providers, and partners are enormously important tasks. The Internet of Things (IoT) technology provider you select for your business can help optimize your operations, drive growth, and create a strong return on investment. With the continued expansion of the IoT industry—Gartner projects an impressive $8.9T in expected market growth alongside an increase to 20.4B connected devices in use by 2020—the pool of available technologies also continues to expand rapidly. This is great for industry leaders, because innovative solutions are more widely available than ever before. 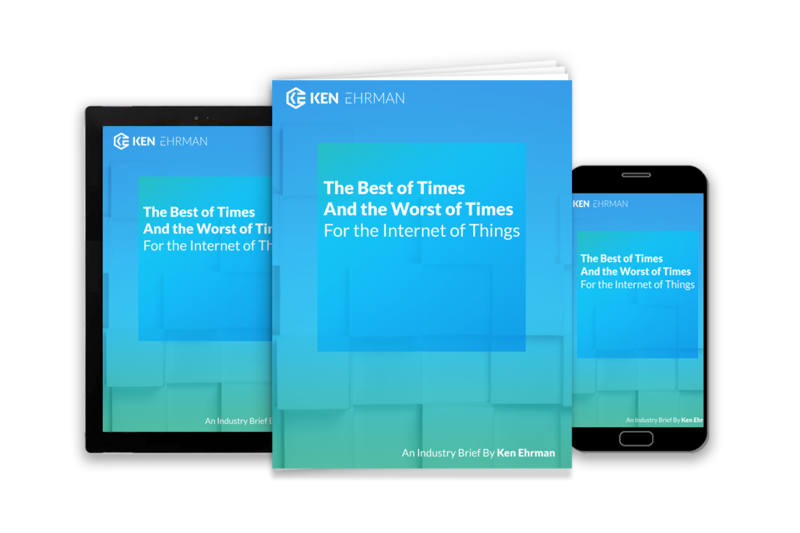 However, selecting an IoT provider that lacks the ability to scale, deliver rollouts on time, or provide updates in the face of challenges can cause major delays and unplanned costs for your business. 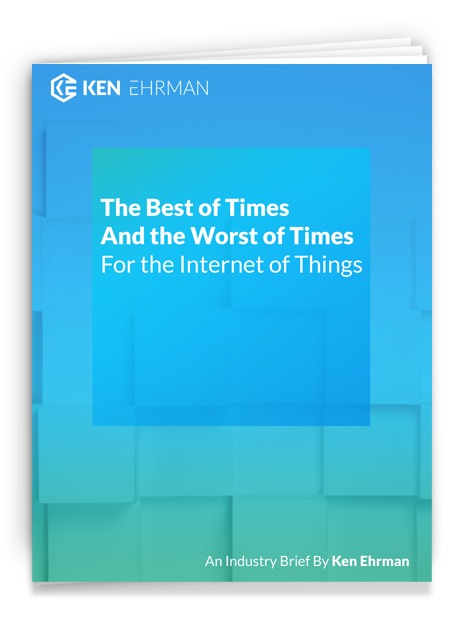 For this reason, rapid growth in the IoT industry should also give industry leaders pause. To navigate this issue, I recently wrote a list of four factors to predict industry leadership potential. My aim is to help decision-makers determine which solutions or providers are right for your company. Today, I’ll shine the spotlight on an excellent under-the-radar IoT solution from SmartCloud, Inc. as a means to provide an in-depth example of how I used these steps to find a tech provider with true leadership potential. Because I aim to bring great products to my network, I only connect businesses with technology providers that truly have the potential to make an impact in the Logistics, IoT, Supply Chain, and Transportation industries. 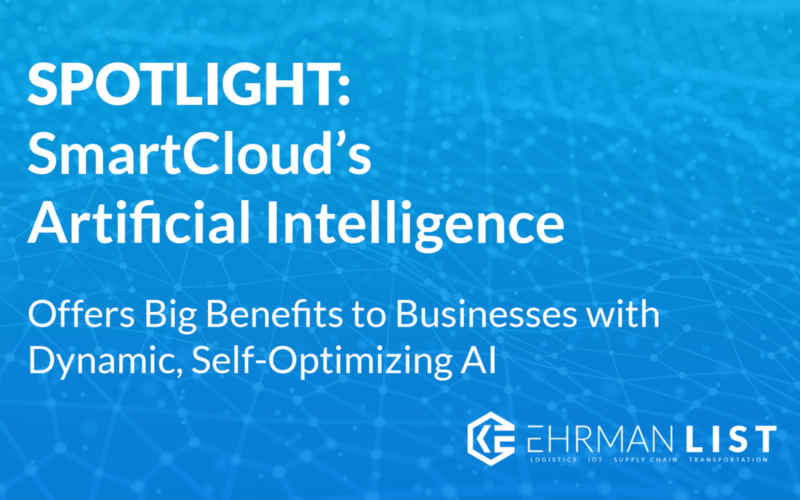 When evaluating SmartCloud’s artificial intelligence (AI), I first spent a significant amount of time assessing whether the company knew its niche. Countless startups (and even established businesses) use buzzwords like artificial intelligence and machine learning (ML) to establish market dominance when they might not necessarily have the experience to back up that claim. For this reason, it is critical to evaluate the level of expertise of the company’s talent and leaders. In doing so, I was able to determine that SmartCloud does have the technical proficiency that some other AI providers lack. The CEO, Kim Mayyasi, is an MIT graduate who has been operating in the Artificial Intelligence industry for over 25 years. He is an established thought leader with a successful track record, whose experience includes high-profile projects (like utilizing AI to manage the entire US bulk power system in real time). He has assembled a great, knowledgeable team to pull off a well-executed AI solution that stands apart from the rest. After confirming that SmartCloud has significant expertise in their niche market, I made an on-site evaluation of their solution. Do not skip this step. This process helped me understand the breadth of SmartCloud’s technology. I was able to ask myself whether they have potential longevity in their target market. While there, I found that their Artificial Intelligence capabilities go beyond what many AI providers offer. Many companies provide solutions that collect data from multiple internal sources to analyze variables and trends. These companies do develop business insights that are actionable and directly applicable to a particular company—but the solutions can often end there. In contrast, SmartCloud collects and analyzes data, then moves beyond this step to intelligently analyze the decision-making processes of the AI itself. As it learns your business objectives, it optimizes its own situational AI to help you make the right decisions while delivering the best results for your goals. During my visit, I saw that their software looked at all IoT devices that existed in numerous large-scale corporate ecosystems. They then evaluated the data being pulled off all devices, and combined it with collected data from a wide variety of third-party systems. My ability to see these demonstrations was a critical part of my on-site visit, as well as my overall evaluation. After sitting with SmartCloud, evaluating their software, and reviewing their large-scale implementations to see what level of support they can offer other industry leaders, I brought my reviews to other industry leaders who I thought might need this solution. Sampling peer opinions will help you see if there is already market-wide interest in a company’s solution. SmartCloud’s capabilities extend beyond analyzing data and providing insights, which shows a unique ability to anticipate industry leaders’ future needs. Rather than simply making decisions, it analyzes where those decisions are coming from, what data is impacting the AI’s decisions, and helps business leaders understand why these decisions are being made. This fundamental difference focuses not only on what decisions are being made, but also looks at the reasoning behind the AI’s decision-making processes. It’s transparent, and therefore, more helpful than the large number of Black Box machine learning tools. This generated a high degree of interest during my peer reviews, which is a strong indication that the market will respond well to SmartCloud’s solution. When you search for providers or partners, a sample of peer perspectives can go a long way to help determine the viability of the tech you’re vetting. Check whether the technology anticipates future needs in addition to addressing current ones. Inspiration and drive were the final required conditions in my four-factor process. Finding these two qualities may seem like an obvious move for some, but inspiration and drive are actually far more rare than they may appear at first glance. SmartCloud possesses the inspiration to see beyond the current market and into future expectations with their advanced grasp on industry leaders’ evolving needs. By pursuing solutions that go beyond the scope of others’ offerings, they have also shown the drive and dedication required to differentiate their services in a crowded market. With the level of experience that the company possesses, they could have chosen to minimize effort and still maintain an industry edge going forward. However, their passion and interest in driving change within the field of Artificial Intelligence was the final factor that convinced me to invest my time in an already highly convincing product. When you find yourself making decisions about a potential partner, who to work with, or which provider is right for you, I strongly encourage you to use this four-factor checklist. Each step is just as important as the others. Without a strong foundational technology, the solution can’t succeed. Without some interest shown within the market, the technology will not find a place to grow. In the same way, the dedication required to overcome any obstacle can be just as necessary in a pinch as the expertise that lays a solid foundation for the company. If you need any assistance while evaluating your own professional relationships, I strongly recommend considering this multi-step approach to check whether a company is the right fit for your needs. Based on how I’ve employed these steps in my own work, I think that SmartCloud’s technology is innovative and merits consideration by anyone interested in making enterprise-wide improvements through AI. For additional help beyond the scope of evaluating a potential solution with these steps, feel free to reach out to me and I’ll be happy to help balance the needs of your company against an array of potential solutions. I’ll help you find the best fit for your business goals. I hold no current position within SmartCloud, Inc., but provide advisory services as an independent party. A small commission may be made in the event of a sale by my recommendation, but all opinions are my own. This is not a paid advertisement, and I do not endorse technologies or services unless I am highly confident in the solution being discussed.